The Fairmont subdivision of Griffin was established in 1927 when a tract of land comprising approximately 100 building lots in a section of the city was auctioned exclusively to African-Americans. The old Fairmont High School was built in 1929 when the CEO of Sears, Julius Rosenwald, donated millions of dollars to establish schools for African-Americans in the rural South through the Rosenwald Fund. The old Fairmont High School (originally named "Griffin High School") was one of approximately 5,000 Rosenwald schools to be erected. Its name was changed to Fairmont High School in 1949, and its last class graduated in 1970 before merging with another school. The National Trust for Historic Preservation recognized an important national resource in the Rosenwald schools that remain. In 2011, it created the Rosenwald School Initiative to protect the original school houses as cultural resources. The Initiative collects documentation and oral histories, and many states have also created their own programs to identify and catalog Rosenwald schools. Georgia’s State Historic Preservation Office identified 259 Rosenwald schools planned and constructed between 1915 and 1937. The Fairmont High School is the 50th of only a few dozen extant Rosenwald schools to be identified. Schools are often described by many as the glue that holds a community together, and much has changed in the Fairmont community since the 60's. Many of the older residents remember the Fairmont community of the civil rights era when it was a more prosperous place; lawyers and doctors and school principals lived among the mill workers. With this oral history project, we’re hoping to recapture the lives of those people who lived in Fairmont at that time and show how we came to be where we are today. The intent of this project is to travel back in time as far as physical resources and memories will allow and record accomplishments, aspirations, survival skills, and the entire culture of the lives of predecessors of the Fairmont community. Even though we are calling this African-American History, the lives of these people were directly affected by whites in the community. Some were progressive and helpful and served as a “Bridge Over Troubled Waters” during the sixties. 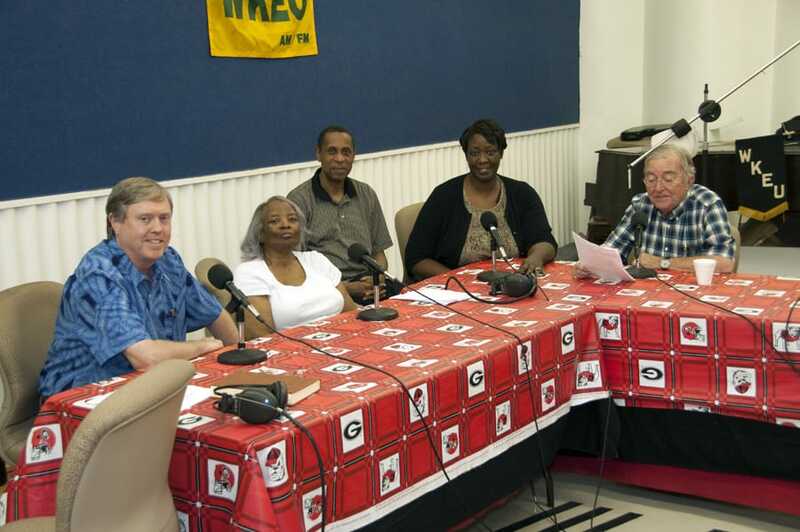 The Fairmont Community Oral History Project is a collaboration between the Griffin Branch NAACP and the Richard B. Russell Library and Griffin Campus Library of the University of Georgia. The seed was planted in the meetings of the Educational Prosperity Initiative which is also chaired by the president of the Griffin Branch NAACP, Jewel Walker-Harps. Thanks are extended to our collaborators: Griffin Housing Authority; Spalding County Collaborative; Fairmont Alumni Association; University of Georgia—Athens and Griffin campuses; and the Educational Prosperity Initiative, which is an affiliate of the Spalding County Collaborative and others. Jewel Walker-Harps is President of the Griffin, Georgia branch of the NAACP and chairs the Educational Prosperity Initiative, a grassroots engagement and multi-institution initiative to fight poverty and provide a comprehensive system of general supports through services, programs, and activities for all ages. She is President of the South Atlanta Youth Association, a Library Media Specialist, a Court Appointed Special Advocate for Children, and a member of the executive committee of the Spalding County Collaborative Authority for Families and Children, Inc, which was created by the General Assembly of the State of Georgia and designated as the local decision making body for prioritizing the needs of families and children.